There are so many ways on how to use coffee grounds in the garden. So instead of throwing away any leftover from freshly brewed coffee, you might as well put it to good use by using it in your garden. 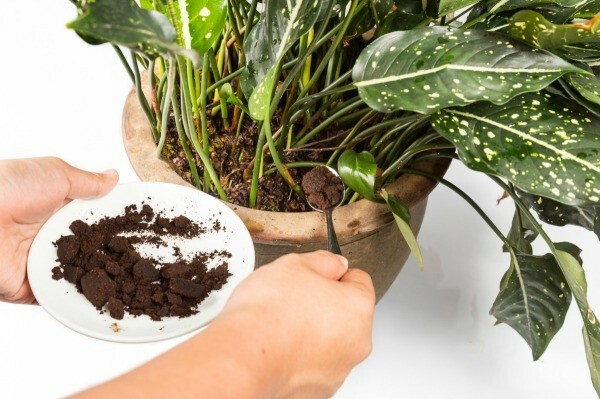 Read on to learn some of the most interesting ways to use coffee grounds in the garden. If you have acid loving plants in your garden, then sprinkle the coffee grounds on them. The coffee can help to make the soil acidic, which is exactly what these plants need in order to grow. Regularly supplying your acid loving plants with coffee grounds can make them grow healthily. Compacted soil can be a problem for the plants growing in your garden. Since the soil is compressed, the roots of the plants won’t be able to get the nutrients that they need. So pour coffee grounds on the soil to help break the soil up. This process is called aeration. Small holes will then be created after breaking up the soil. As such, nutrients, oxygen and water can now easily get into the roots of the plants. Sprinkle the coffee grounds all over the area that surrounds your garden. Cats are sensitive to smell and the smell of coffee will scare them away. Add the coffee grounds to your compost pile along with other food wastes. The grounds are said to contain generous amount of magnesium, potassium, phosphorus and copper. All these nutrients can help in the successful growth of your plants. Moreover, if you hate the smell of your compost, then add grounds to the mixture. The coffee will aerate the mixture and will mop up the extra moisture, thereby, keeping the foul smell away. Poor drainage could lead to water stagnant and will make your plants susceptible to diseases. Thus, another way that coffee can benefit your garden is in providing good drainage. Apply generous amount of coffee grounds in the soil on your garden. That way, the grounds can help break down the soil and will allow for better water drainage. You want a cheap and easy way to fertilize your plants? Use coffee grounds! Coffee helps your plants by providing them with a good amount of nitrogen. This is especially beneficial for vegetables and leafy greens, such as cabbage and spinach. Simply add a good amount of coffee to the soil where the vegetables grow. In no time, you will notice your vegetables are healthier than ever. The grounds are said to actually create their own helpful form of fungus. When you pour coffee into the soil where your vegetables grow, the natural fungus and mold colonies found on coffee can help to suppress fungal rots and wilts among your plants. As such, common plant diseases like fungus can be greatly prevented. Use coffee grounds to make your grasses greener. Simply mix half a pound of coffee to five gallons of water. Place the mixture in a spray and apply directly to the grasses in your lawn. Use coffee grounds as mulch if you want an inexpensive way of perking up the soil in your garden. However, you should only sprinkle a minimal amount. As you know, coffee tends to get compacted easily due to their small size. Thus, if you apply them in a thick layer, they could prevent air circulation and water drainage. It is best to mix the grounds with other organic mulches that are bigger in size. Scare the pests off your garden using coffee grounds. Simply sprinkle coffee grounds on the garden edges and right above the soil to repel the pesky pests. They simply dislike the smell of caffeine so they will avoid going into your garden. So if you notice that unwanted visitors are visiting your garden, simply spread the coffee grounds all over it. In no time, these pests will disappear.